The DH Café series for Spring and Summer 2018 begins this month! The DH Café presents a series of short introductory workshops and informal discussions on topics relevant to the basic theories and methods behind digital research in the humanities. This semester, our theme is, “How Do You Put the Digital in a Humanities Project,” which will introduce you to the questions you need to consider and the challenges you might face when developing a DH project. The first workshop will be held on January 24, with a workshop entitled Collecting, Organizing, and Describing Archival Research at 1:30–3:30 in the Wosk Seminar Room (W.A.C. Bennett Library 7100). If you are interested in attending, please register here. You can also submit a project proposal to work with the Digital Humanities Innovation Lab (DHIL). The deadline is February 1 and you can find more information on the Work with the DHIL page. Competition: PC17: Additional: Funding for relocation will not be provided. Geographically Restricted: Funding for relocation will not be provided. BC Pension Corporation is one of the largest professional pension services organizations in Canada. Doing meaningful work and with a challenging mandate, we provide comprehensive pension services to five BC public sector pension plans. In addition, the corporation is executing on a forward-thinking, transformational strategy that will change the way we serve plan members and employers. Our strategic plan, From 12 to 21, is an ambitious program of business transformation that supports high service levels and cost-effective delivery through better use of technology, improved business process and continued attention to staff training and development. It’s the ideal setting for a consultative team player who thrives in a collegial, results-oriented client service delivery environment. Reporting to the Manager, Communications, the Copy Editor edits and proofs communication products to ensure clarity and standardization. Communication products can be complex, controversial and sensitive in nature. The potential for content to be miscommunicated may have a negative impact on the Pension Corporation and exacerbate sensitive circumstances and cause embarrassment to the Corporation. The Copy Editor provides feedback to the writer on all aspects of the written product. The position must establish strong relationships with all levels of staff across the Corporation. Diploma in a related field such as communications or journalism or an equivalent combination of related education, training and experience. A minimum of two years’ editing and proof reading or related experience which encompasses multiple communication channels and products suitable for the level of the position. Experience using computer applications including MS Office, Excel, Outlook, Adobe and in internet researching. Experience with the Chicago Manual of Style. Your resume must provide detailed information about your education and employment history in order to clearly demonstrate how you meet the required job qualifications as listed in the selection criteria above. Please ensure your resume includes the month and year(s) for each job in your employment history as well as the job related responsibilities. Only applicants selected to move forward in the recruitment process will be contacted to move to the next stage (at-home written assessment and/or an interview). All candidates are notified of the outcome of the competition once it has been completed. SFU Library is pleased to invite you to a noon-hour talk by Derek Beaulieu in Special Collections at the Burnaby campus. The Calgary-based author of numerous books of poetry, conceptual fiction, and criticism has also been active for two decades as a literary publisher with his acclaimed micro-press housepress (1997-2004) and its successor, no press (2005-present). His talk will focus on this aspect of his literary work — the poet as publisher. International Open Access Week (October 23-29, 2017) is a global, community-driven week of action to open up access to research. This year’s theme is an invitation to answer the question of what concrete benefits can be realized by making scholarly outputs openly available. “Open in order to…” serves as a prompt to move beyond talking about openness in itself and focus on what openness enables; then to take action to realize these benefits. Open in order to increase the impact of my scholarship. Open in order to enable more equitable participation in research. Open in order to improve public health. These are just a few examples of how this question can be answered. Join SFU Library during Open Access Week 2017 for a series of events focused on examining the role of the open movement within and beyond the academy. Please join BCIT, SFU and UBC in celebrating International Open Access Week for a panel that examines the threads running through different tensions in the open movements, including: Indigenous and Traditional Knowledge, ethics and privacy, student-faculty relationships, accessibility and inclusivity, and researcher-institution relationships. In this panel, Dr. Hannah McGregor and Dr. Raymond Siemens discuss how the Digital Humanities can bring academic and non-academic communities together to be more inclusive, accessible, and accountable. Learn more about the activities of DHIL through our website: http://www.lib.sfu.ca/dhil. The site profiles current projects, provides information and registration for lab events, and details the ways the lab can support researchers. The website also links to the DHIL consultation request form. Researchers are welcome to submit a consultation request for any campus and during regular service hours (9am-5pm, M-F). In addition to bookable consultations, the lab also holds office hours on Thursday mornings (10am-11am) in Burnaby and at least once a month in Vancouver (times and locations vary). Updated office hours and locations can be found on the Contact Us page of the website. DHIL accepts project proposals twice a year. The deadline for proposing Spring/Summer projects is January 15, 2018. Information about proposing a project is found on the Work with DHIL page of the website. Please be in touch if you have any questions about the proposal process or are seeking feedback on a potential project. The DH Café presents a series of short introductory workshops and informal discussion on topics relevant to the basic theories and methods behind digital research in the humanities. The courses cover a broad range of topics, from larger issues in digital research in the academy to specific tools and research techniques. The DH Café theme for Fall 2017 is Digital Pedagogy. Join us throughout the fall in exploring the use of digital technologies in teaching and learning. In addition to the DH Café workshops, the DHIL is proud to share the first workshop in our 2017-2018 DH Skills workshop series focused on the process of managing research data in the Arts, Humanities and Social Sciences. This workshop will be of particular interest to those preparing grant applications in the near future. What is the relationship between the feeling of anticipation we get from reading certain novels, and the words of the text itself? Is it the narrative of the story, the desire to know what happens next? Or is it something more subtle, a set of literary devices and effects, that makes us feel suspense? Combining cognitive psychology and deep learning models, this project explores the ways that fiction works to create the conditions of possibility for the experience of suspense. In addition to offering a new way to understand what suspense is and how it operates on readers, this project also offers a model of the new turn towards reading in the Digital Humanities. Far from the straightforward analysis of form, authorship, or topic, in this project, we explore what our new quantitative methods can tell us about the evolution of the reading experience and how we make sense out of what we read. SFU Library now has a subscription to Quill & Quire Omni, the online news service for book trade professionals in Canada. The site is updated frequently with current industry news. Quill & Quire Omni also sends out a twice-weekly email newsletter with excerpts of the latest industry news. Faculty, staff, and graduate students in Publishing can contact Adena Brons (abrons@sfu.ca), the liaison librarian for Publishing to be added to the email list. Please note that this subscription DOES NOT include access to the Digital Edition of the Quill & Quire magazine. The Library has print subscriptions to Quill & Quire at Belzberg Library downtown. 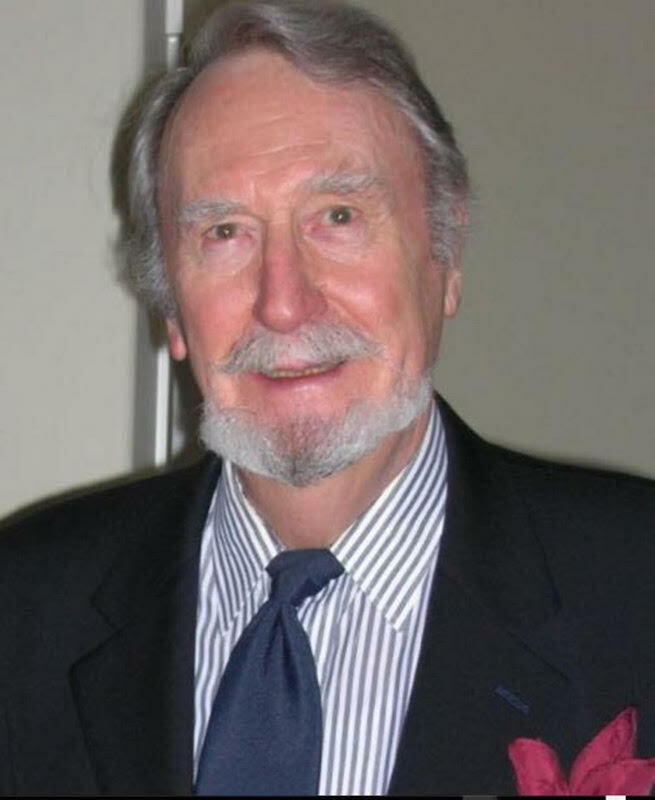 In September 2016, the great British Columbia publisher James Jardine Douglas passed away in North Vancouver. Jim Douglas — known perhaps most famously as the “Douglas” in Douglas & McIntyre — was one of the most influential and inspirational figures in BC publishing. A number of key publishing firms in BC — including D&M, Raincoast Books, Ampersand & Co — trace their lineage in one way or another to Jim Douglas. And a great many people in the BC industry have known, worked with, and been encouraged by Jim. The Publishing Program at SFU owes an enormous debt to Jim, as he contributed so much of his time, wisdom, and indeed money to the establishment of our program and the encouragement of our students and faculty. To recognize Jim’s great contributions to the BC publishing industry, we are pleased to announce the Jim Douglas Lecture, an annual event which aims to bring the local publishing community together and to highlight issues of importance. The first Jim Douglas Lecture will be held on Wednesday, September 20th at 7pm, at SFU Harbour Centre (rm 1400). 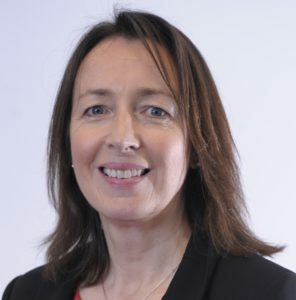 Our inaugural speaker is Marion Sinclair, currently Chief Executive of Publishing Scotland and with 28 years experience in the Scottish publishing industry. Ms Sinclair will speak to us about “Scottish Publishing Today and its Place in the World,” a subject with very clear parallels in Canadian independent publishing. We hope you will join us on the evening of September 20th, to honour Jim’s memory, and to meet our very distinguished guest. Ralph Hancox – Writer and journalist, Man of letters, bibliophile, publisher, Nieman Fellow, photographer, pilot, father, husband, grandfather and great grandfather. Born in England 23 August 1929; died Victoria, BC 22 March 2017. Intered Catarqui, August 18, 2017. A scholarship fund for students in the Master of Publishing Program will be established to honour Ralph’s commitment to the publishing industry and his dedication to his students at Simon Fraser University’s Master in Publishing Program. The purpose of the scholarship will be to support a master’s student education recognizing that Ralph valued education, writing and a wondering mind and his students who demonstrated these qualities. Ralph joined the SFU staff and worked as Adjunct Professor in the late 1990’s. He worked with Anne Cowan-Buitenhuis and Rowland Lorimer in the newly established Master of Publishing Program. 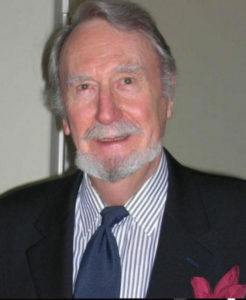 Ralph served as Adjunct Professor and Professional Fellow Emeritus at Simon Fraser University where he published a textbook on ‘Managing the Publishing Process’ for the Canadian Centre for Studies in Publishing. There, he was honoured with the Chancellor’s Award for Distinguished Service for 10 years of teaching before he retired again at the age of 80, in 2009. If we raise $4500 – Annual graduate bursaries, scholarships or awards can be created for $1,500 per year, with a minimum three-year commitment. If we raise $25 K+ – we can establish a graduate scholarship in perpetuity in Ralph’s name for ~$500 /per year for every $25 K invested. Ralph attended the School of Modern Languages, Regent Street Polytechnic in London, where he mastered Pitman shorthand, a prerequisite skill for his early career in journalism. He arrived in Canada in 1955 with his new bride, newborn daughter, and a vintage German Olympia typewriter in hand. His exceptional typing skills of 125 wpm, his sharp and inquisitive mind were tools that launched an iconic career in journalism that spanned 54 years on the Canadian publishing landscape. In 1965, Ralph won a Nieman Fellowship recognizing excellence in Canadian editorial writing at the Peterborough Examiner and attended Harvard’s Nieman Foundation for Journalism. Later he joined Harvard’s Program for Management Development at the School of Business. Ralph started his career as a pilot in the Royal Air Force, training in Rhodesia, at the tender age of 17. He described the experience of flying the Tiger Moth, Harvard, and the first RAF jet, the Gloster Meteor as “hurtling through the air in a tin can with a ton of metal strapped to his backside.” He flew in the Berlin Airlift in 1948, and later as a journalist covered the building of the Berlin Wall. In 1961, he traveled via the underground from East to West Berlin through the Wall under the conditions that he would not report on his experience. In Canada he started his career in journalism writing obituaries for the Kingston Whig Standard. In 1965, Ralph won a Nieman Fellowship recognizing excellence in Canadian editorial writing at the Peterborough Examiner and attended Harvard’s Nieman Foundation for Journalism. Later he joined Harvard’s Program for Management Development as part of the PMD 26 cohort at the School of Business. 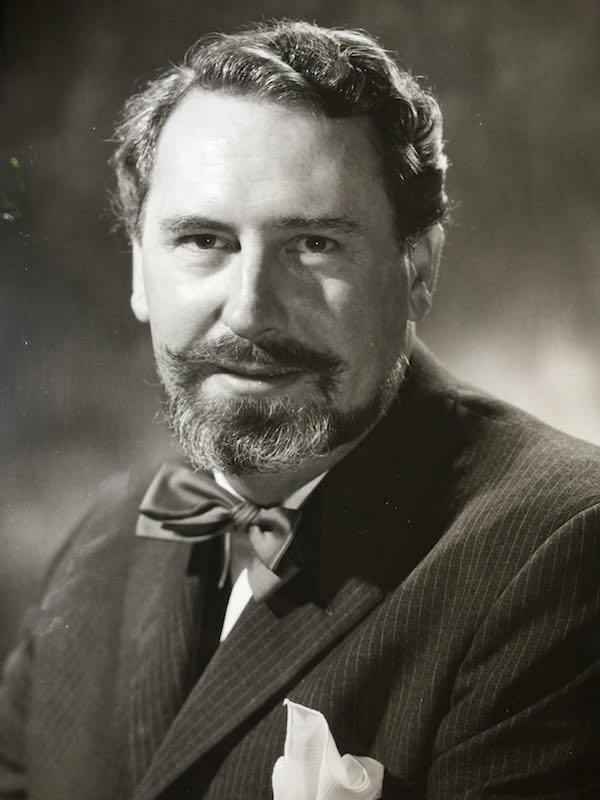 After a career as Editor-in-Chief at the Peterborough Examiner as a colleague of Robertson Davies, he joined the Reader’s Digest where he worked for 32 years. Ralph ended his first career, serving the last 16 years as Chairman, President, and CEO of Reader’s’ Digest Canada and Consigliere delegato and chairman of Reader’s Digest Italy. Post retirement he served as Adjunct Professor and Professional Fellow Emeritus at Simon Fraser University where he published a textbook on ‘Managing the Publishing Process’ for the Canadian Centre for Studies in Publishing. There, he was honoured with the Chancellor’s Award for Distinguished Service for 10 years of teaching before he retired again at the age of 80, in 2009. With his wife Peg, Ralph (aka Hank) lived a life post-World War II in Canada pursuing family and career dreams in Kingston, Peterborough, Boston, New York, Montreal, Milan, Vancouver, and Victoria, with summers in the Kawarthas and weekends of leisure in Vermont. A storyteller at heart, he regaled generations of family and students with lessons he learned from his rich life experiences. “Good judgment comes from experience and experience comes from poor judgement” he would say, quoting his mother. He was a man of letters in the classic sense: fountain pen, elegant italic script to paper. He kept a daily journal for over 53 years. He engaged in written repartees, Olympian literary gymnastics with family and friends, including long time Peterborough friend and librarian, Bob Porter. He was not an ordinary man. Robert Frost’s words “I had a lover’s quarrel with the world” describes the restless soul, the intimate relationships, the daily inner tensions, his ability to question and think deeply and at the same time embrace his life. His mind never rested as he explored life and the meaning of existence, to the day he died. Ralph leaves behind 4 appreciative children, their spouses and families who live with gratitude across Canada.